Valued at $107 million, TA Realty is set to put up its freehold development, 12 on Shan in Novena for sale via tender. The freehold project, which is expected to obtain its TOP by 2Q 2018, has already gotten a written permission from the Urban Redevelopment Authority (URA) of Singapore in November 2017 to operate the development as a serviced apartment. It was previously marketed as a new launch residential project with prices starting from around S$1 million. 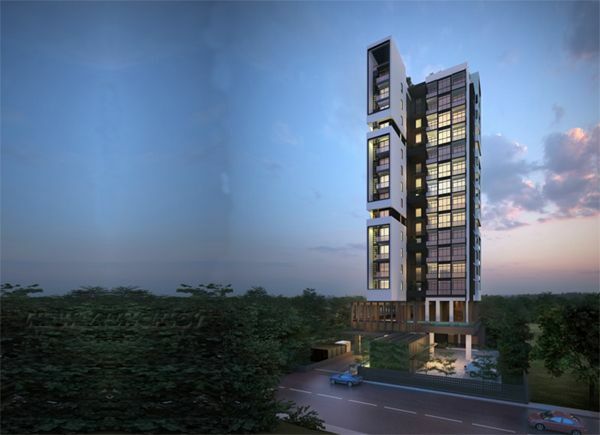 The 16-storey 12 on Shan comprises a total of 78 units and has a land area of around 2,058 square metres. It is located near the upcoming Novena Health City and is approximately 550 metres away from the Novena MRT Station. According to property consultants, the scale for the healthcare services and facilities within the upcoming Health City will be doubled to around 600,000 square metres from its current built-up area of 250,000 square metres. 12 on Shan comprises of 1-bedroom, 2-bedroom and dual-key apartments which are sized between 387 to 667 square feet, and facilities which include an indoor gym, BBQ area and swimming pool. Market watchers have noted that there aren’t many serviced apartments available in today’s property market and believe that 12 on Shan will be an ideal choice for investment – having excellent attributes in both location and price. Thus, it is expected to attract interest from both local and foreign investors who are drawn to such income assets. The tender for 12 on Shan will be closed on 08 March 2017.